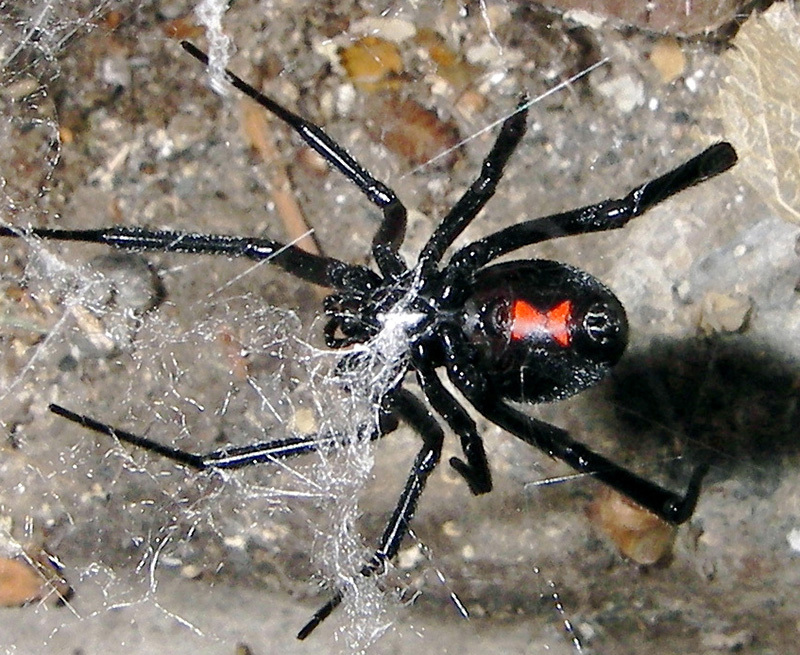 Female Black Widows are well-known and particularly feared for their venomous bites. They are shiny in look and feature a red hour-glass shape on their abdomen (sometimes appearing as two red marks). The male is smaller than the female and is brown in color with white markings on the sides of the abdomen and longer legs than the female. The female will eventually immobilize and kill her mate. Baby Black Widow spiders will appear orange-to-brown in color. Though they bite, Black Widows generally tend to avoid human contact altogether preferring the safety of their webs instead. As with the Brown Recluse spider, should you even suspect a bite from a Black Widow Spider, seek medical attention as soon as possible. Black Widow venom is EXTREMELY poisonous to humans. Male Black Widow Spiders do not produce this venomous bite.